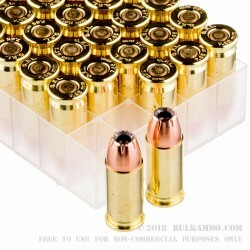 A bulk 1000 round case lot of Fiocchi’s .32 Auto load in a jacketed hollow point configuration that offers a 60 grain projectile that is easily digested by most mainstream firearms in the caliber. 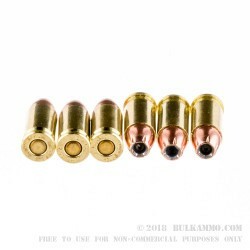 That’s saying a lot for the round too, as many of the newer .32’s and other similar sub compact semi-autos are hard to feed. 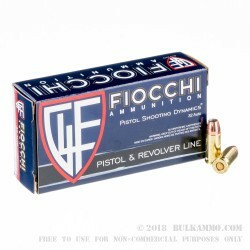 Fiocchi is known for producing low priced top-quality ammunition that performs well in any mainstream guns. This round is a great example of their commitment to this concept. This cartridge is also a great example of their commitment to grow the brand lines. 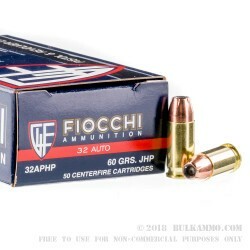 While 10 years ago, or even 5 years ago, the Fiocchi line consisted of mostly Full Metal Jacket rounds made to a very plain vanilla specification; the contemporary Fiocchi is committed to producing ammunition that fills a need, not just that has a high volume of sales. Their business model of owning all the component parts to the manufacturing makes the company able to easily expand their product lines year by year and to ramp up volume as needed. This model that they do so well, also supports continued low pricing for their portfolio of products.